Sparky Imeson's "Mountain Flying Bible"
Over the many years I have been flying in Alaska the unforgiving nature of the weather and terrain has impressed on me one very important lesson: that flying is a thinking man's (or woman's) game. Those who do not, or cannot, think, but instead rely only on the quick reflexes of youth or basic physical skills, have a tendency not to survive for long. As a result, books by an experienced pro that explain the reasons why it is best to perform a maneuver one way rather than another, or describe in detail the thought processes behind various flight decisions, are, for me, the only ones of real value. It was therefore with considerable interest that I began to read Sparky Imeson's new book, the Mountain Flying Bible -- Sparky has a reputation of being a thoughtful and careful pilot, as well as a highly skilled one, and I was curious to see what he had come up with. 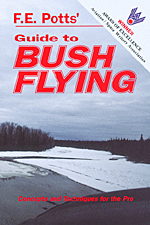 What he came up with is a book so good, so complete and detailed, so useful at all experience levels, that I found myself wishing I had it when I started my bush flying career in Alaska back in the early 1960s. While it may not have shortened my learning curve all that much (for true learning is something that needs seasoning over the years to achieve real depth on the subconscious level), there certainly would have been far fewer of those 'interesting' moments. Because of the size constraints placed on book reviews I only have room to touch on a few of the many subjects found in this marvelous book, so the ones I selected are those that follow my particular interests. Other pilots would, of course, select other items, and happily the menu Sparky provides is large. I very much liked where, in the Warning-Disclaimer, Sparky notes that the book "represents the current view of the author on the issues discussed as of the date of publication." This is an important point, for it reminds the reader that a pilot's learning process should be continuous over their career, and that as a result their view of the subject will (and should) change with time. Another lesson provided by Sparky's approach to flying is found on page 3-80, where he tells how he built, out of 2x4s, a device which he placed in a stream so he could, by changing its orientation, better learn to understand how terrain modifies wind flow. This type of thinking, along with experimentation, is typical of the best pilots, for the best pilots seek understanding, and through understanding, learn what is needed to survive. Certainly the depth of information Sparky provides on the subjects of wind (which needs to be thought of as weather, just like something you can see such as fog), turbulence, mountain wave, the infinite varieties of ice, high-altitude physiology, and basic flight maneuvers, are unsurpassed by any other book I have ever read. One area of aviation that is often neglected is engine management, the science of controlling power and temperature changes. Nowhere is this more important then in environments where one is dealing with changing altitudes (climbing and descending), or serious cold. These subjects Sparky covers in great detail, and if his suggestions are carefully followed they will, in all probability, markedly increase the TBO of one's engine. Another important subject Sparky covers in depth is emergency landings. Here he not only covers the usual techniques, but as well the psychological hazards. This section alone is well worth the price of the book, and should be reviewed carefully by all pilots. I personally knew many pilots in Alaska who, had they followed Sparky's advice in this section (especially the psychological factors discussed on page 3-155), would be alive today. Another nice thing about this book is that Sparky provides many photographs of various mountain landing areas, and these photographs give a good introduction to the subject for they each have a lesson to teach, and the examples are good. Perhaps my favorite is the picture on page 5-62, but then, mountain and bush pilots live in a special world, and are special people. To sum up, Sparky not only deals in depth on the technical aspects of flying in this book, but, even more importantly from my perspective, he deals with the psychological aspects. And, of course, the sections that specifically deal with his specialty, mountain flying, are unsurpassed. 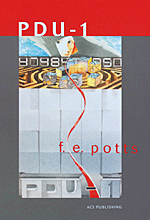 This is not to say that this book has value only to mountain pilots, for that is not the case. This book is one of those that all pilots can learn from (just as it deepened my understanding in many areas), and should be part of every serious pilot's reference library. It is, in all likelihood, the best aviation book written in recent years that focuses on light aircraft. Certainly it is the most useful. I recommend it without reservation.